Stepped into the place and I immediately know my 2 hours is gonna be worth it. They suggest arriving an hour or 30 minutes early for facility access before spa session (sauna, jacuzzi, and relaxation room). I was welcomed with tea and a hot towel for my hands while i fill up my form for my therapist to see and identify my specific requests and restrictions. After filling up, we went straight to my locker with all the stuff i will be needing for 2 hours. It was spacious enough if in case you need your clothes hanging. I arrived 45 minutes early so we head next to the Sauna and Jacuzzi facility while I wait for my session. That place is already a treat and I haven't even started yet. There's wifi everywhere so you can definitely chill. Dang it, I should've come an hour early. haha! I didn't get to use the sauna because I enjoyed the jacuzzi so much (i have the place all to myself)! So Q1 start; consists of body scrub (30 minutes), whole-body Thai massage (1 hour), and facial (30 minutes). My skin after the scrub was unbelievably smooth as it open pores and exfoliates the whole body. Ann, my therapist, works in the industry for 6 years now so she mastered the art of Thai massage, then I don't know what happened because I fell asleep. She woke me up when I was about to do my facial. That's how good it was! I decided to just enjoy it and fully relax myself hence no pictures of myself. Each treatment will cost about AED 300+, and this package is offered for AED 599. Isn't that a bargain! I had extra time, and I decided to stay in the relaxation room for a while. Took pictures around and sip on my lemon water juice while I wait for an to come back and show me all the products she used. 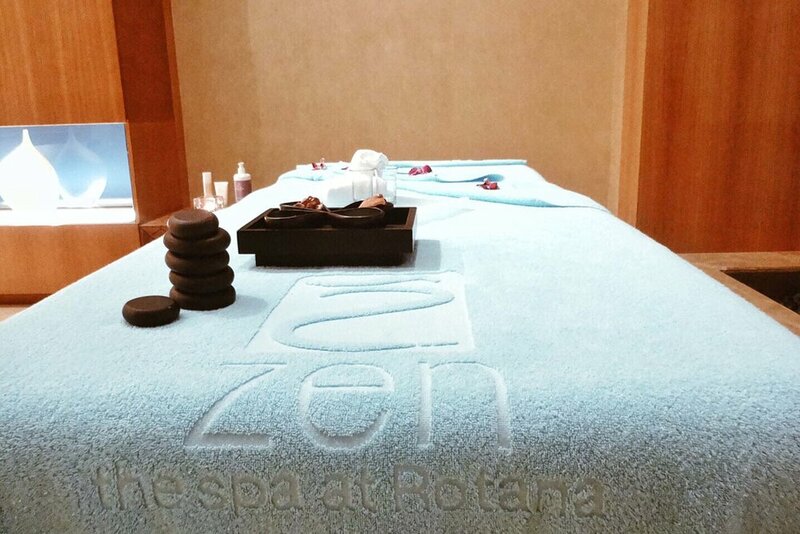 Thank you so much, Zen The Spa for that wonderful experience! Thank you, Ferry Trinidad. Disclosure: This is a sponsored post for Zen The Spa. All thoughts & opinions expressed in this post are solely my own.